AHC, Inc. is a multi-disciplinary environmental remediation firm serving clients throughout central Ohio. Our company’s goal is to provide cost effective remediation services to all of our clients using the highest quality materials and safety standards. AHC, Inc. is one of the first companies in Ohio licensed to perform the professional services required to identify and correct problems resulting from the presence of asbestos-containing building materials. In business since 1985, we have proudly served private industry, government, public employers, and homeowners throughout Ohio. Our experience in asbestos abatement has led AHC, Inc services to expand our services to better serve our clients needs. AHC Environmental Services’ ensures that all clients receive the highest quality service at a fair price. We present the client with a complete list of options and recommend what is needed to solve the problem, not what is most profitable for us. We use common sense solutions to address environmental issues. Unlike other contractors, we will not use fear to make the sale. We look at all of our projects from the client’s point of view. By using this philosophy, our recommendations focus on projects being completed right the first time using the most currently recommended methods and the highest industry safety standards. This philosophy allows AHC Environmental Services to continue to provide our clients with the highest quality and most cost effective solution to their environmental issues. Concerns about mold and indoor air quality have grown dramatically in recent years. When elevated humidity and/or excessive moisture are present in a building, mold can proliferate. Left unchecked, mold can cause extensive damage to building materials and cause adverse health affects for building occupants. Mold contamination has also become a major liability issue affecting lenders, insurance companies, and building owners. AHC Environmental Services’ management team are IAQA members. Rich Kenney, President, is an ACAC Council-certified Microbial Remediation Supervisor (CMRS) and a Council-certified Residential Mold Inspector(CRMI). AHC is certified to inspect microbial contamination and our labor force is trained in mold remediation activities. We are well versed in the cleanup of mold-contaminated structures and have performed this type of work in all types of buildings, including but not limited to schools, hotels, offices, retail and government facilities. 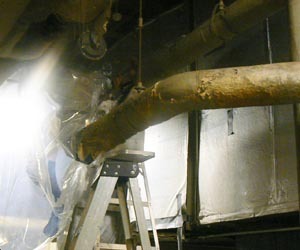 AHC Environmental Services employs state of the art microbial abatement echniques. 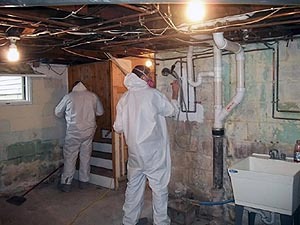 We respond promptly and provide cost effective mold remediation solutions.